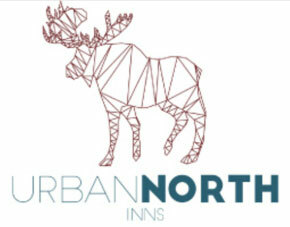 Urban North Inns is a family owned and operated business offering quality accommodations in the vibrant neighbourhoods of downtown Toronto for over 30 years. With a variety of accommodation styles, our locations and our clean and comfortable rooms will provide you with the right lodging for your stay. Our inns, bed and breakfast, and fully furnished apartment give guests the convenience of Toronto with the feel of a cozy home. The demand for affordable accommodations has led us to continue to expand our operations with a fifth location, on Major Street, in the vibrant neighbourhood of the Annex in downtown Toronto. I booked my parents at the Baldwin Inn during their visit over the summer. They loved the hospitality they received at the inn; the owners were very welcoming & knowledgeable about things to do while in town. Great location near Chinatown & on the quaint Baldwin St restaurant strip! Six stars if I could. Wonderful spot, charming restaurant and tree lined street in the heart of Toronto. Very comfortable place, spotless, great vibe. Several patio tables that are great for sipping wine, people watching and or just reading the news paper on a summer afternoon. The hosts are a warm and extremely hospitable retired couple who are enjoying life and the company that passes through their home. You’ll want to call this home too.